Everyone thinks looking after their car means opening the hood and having a root around. There’s a general sense that if you don’t know what you’re doing, then you can do a lot of damage to your prized possession. That’s why mechanics can demand so much money for their services. But it doesn’t have to be this way. 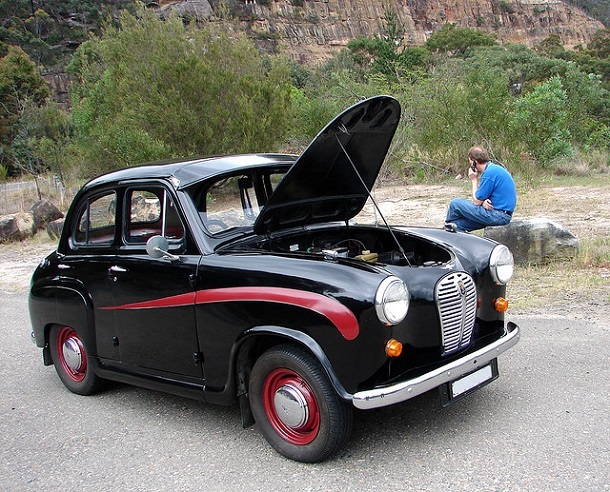 With minimal training, you can undertake some pretty basic car maintenance yourself. Simple processes carried out once a week, or even every time you start the car, can save you a bundle in the long run as you avoid otherwise costly problems with your motor. You will also gain a vast measure of confidence as you begin to see that maintenance is not that difficult of a job. You will become a more confident driver. And should you ever be in the market for a used vehicle you will be more capable of spotting any potential problems with your prospective purchase. Click here for more information on purchasing used vehicles. Getting prepared to undertake such maintenance can take a fair bit of effort though. You have to trawl the internet for reputable sources or take the time to ask a knowledgeable friend or family member. It can all be a bit of a nightmare. So to help you in your quest, we’ve assembled a few pointers for no hassle car maintenance that you can get to work on straight away. Tires are an easy one. Take a look at some pictures online of tires that need replacing. Find out the make of your tires, and have a look online. There’s sure to be some way of cross-referencing the two. You should be looking for patterns of wear, where the grip has started to become indistinct and ineffective. Look at the sides of the tires as well, checking for cracks. Have a look on a search engine at what perishing tires look like. The material will have started to degrade, causing significant imperfections. This is a particularly important tip for your safety. Poorly maintained tires are more likely to blow out or fail to stop your car when you brake your vehicle. This may sound silly, but a lot of people drive around with an engine warning light on. It may seem easier to ignore it, rather than addressing the problem, but in the long term it’s bad. You’re endangering your safety, and you may be causing damage to the car if you’re driving it with a defect or broken part. This one is simple. Every car will come with a driver’s manual. It may look huge and daunting, but in fact it is usually very accessible and handy for the layman. You can undertake some fairly effective basic diagnostics with this guide, including finding out why your engine light is on. Don’t be afraid to search for help online as well, using the guide as your basic jumping off point. The manual should also provide you with a list of dealerships in your area, so if there is a problem beyond your comprehension you’ll be able to easily access help.